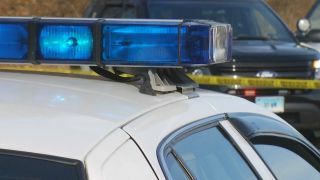 Officers on Wednesday night arrested a woman whom they suspect of running over and killing her boyfriend after a quarrel in a Hercules parking lot, according to police. Police say Desire Borela got into an argument with a man she was dating, identified by the Contra Costa County coroner's office as 22-year-old Ian Irby of Hercules, and then ran him down in the parking lot of a condominium complex on the 100 block of Glenwood. A witness called police at about 5:20 p.m. to report that a woman who turned out to be Borela was driving in circles with a man trapped under the car, police said. Officers arrived about four minutes after the initial call, but Borela had already fled, according to police. The 2006 Nissan Maxima she was driving was found abandoned on Village Parkway near the entrance to the condo complex. But Borela walked into the Hercules Police Department to turn herself in at about 8:30 p.m. She was arrested on suspicion of second-degree murder and taken to county jail in Martinez.